Cathedral Memorial Gardens, Garden Grove, California U.S.
Robert Harold Schuller was born on September 16, 1926, near Alton, Iowa, the second son of Jennie (née Beltman; 1891–1970) and Anthony Schuller (1882–1964). He was the youngest of five children. All of his grandparents were Dutch immigrants, and he was raised on his parents' farm nearby in a small-knit community of Dutch-Americans, without running water. As a 6 month old infant, Schuller wore the gown on the day of his baptism at a Reformed Church, in Newkirk, Iowa, where he was raised. In 1931, just weeks before his 5th birthday, a visiting uncle, who was a minister, told him to be an evangelist. Schuller called it the "single most defining moment of my early life." After graduating from Newkirk High School in Newkirk, Iowa, in 1944, Schuller studied at Hope College, located in Holland, Michigan, and received a Master of Divinity degree from Western Theological Seminary, which follows the theological tradition and Christian practice of John Calvin, in 1950. He was ordained as a minister in the Reformed Church in America. He worked at Ivanhoe Reformed Church in Riverdale, Illinois, before moving to Garden Grove, California. There, he opened the Garden Grove Community Church, in 1955, in a drive-in movie theater. He also rented a 300-seat former Baptist church, about four miles (6 km) from the drive-in theater. Schuller presided at a service in the chapel at 9:30 on Sunday mornings and then drove his organ to the drive-in to preside at another service. As the size of the congregations grew, Schuller purchased 10 acres (4.0 ha) of land at 12141 Lewis Street in Garden Grove for a "walk-in, drive-in" church, serving both congregations. Ground was broken September 10, 1958, for construction of the new church designed by international architect Richard Neutra. The church was completed in 1961, at a cost of $3,000,000. The dedication service was held November 5, 1961. The design of the new church building enabled Schuller to preach his sermons to worshipers in 500 cars, as well as to members of the congregation inside the church. A "Tower of Hope" building was added on the north side of the drive-in church building in 1968; the Tower of Hope rose 13 stories (approximately 130 to 150 feet in the air, the highest structure in Orange County at that time, and was topped by a cross. The illuminated cross that stood atop the Tower of Hope was 90 feet tall. That same year, Schuller purchased the 10-acre (4.0 ha) walnut grove that bordered the north side of the Garden Grove Community Church for the construction of the much larger Crystal Cathedral, designed by architect Philip Johnson. The church, which has glass walls and ceiling, was dedicated on September 14, 1980. Schuller focused on what he believed are the positive aspects of the Christian faith. He deliberately avoided condemning people for sin, believing that Jesus "met needs before touting creeds". Once in a relationship with God, Schuller emphasized, someone who is sowing positive faith in his heart and actions will discover that the by-product is a reduction of sin. He was known to say, "Sin is a condition before it is an action." Schuller encouraged Christians and non-Christians to achieve great things through God and to believe in their dreams. He wrote, "If you can dream it, you can do it!" As the Crystal Cathedral's founding pastor, Schuller was seen and heard internationally on Sundays on the world's most widely watched hour-long church service, the Hour of Power, 1500 of which were recorded. On June 15, 1950, Schuller married Arvella De Haan (1929–2014), a church organist, who became instrumental in developing the music department at the Crystal Cathedral and was the creator and producer of the Hour of Power for over 40 years. The Schullers had five children: Sheila, Robert, Jeanne, Carol, and Gretchen. On January 22, 2006, Schuller's son, Robert A. Schuller, assumed the role of senior pastor of the Crystal Cathedral. On October 25, 2008, however, he resigned. His father cited "a lack of shared vision" as the cause. Schuller stated that "different ideas as to the direction and the vision for this ministry" with his son "made it necessary... to part ways in the Hour of Power television ministry". Schuller also said "I love my son and am proud of my son" and that the long-term survival of his ministry was dependent on expanding its imprint beyond the Schuller name. "The real minister's name that we honor is Jesus, not Schuller", he said. The ministry then opened the pulpit to a variety of notable Christian speakers. On June 11, 2009, Schuller announced that the church's leadership would pass to his eldest daughter, Sheila Schuller Coleman. On July 11, 2010, he announced that he was retiring as principal pastor of the Crystal Cathedral and would become chairman of the church's board of directors. After a year as interim senior pastor, Sheila Schuller Coleman was elevated to senior pastor in July 2010. On October 18, 2010, Coleman announced that the Crystal Cathedral was seeking bankruptcy protection, in the midst of what became known as the "Great Recession". 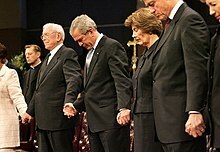 In May 2011, the senior Schullers, along with their daughter Carol and her husband, Tim, were dismissed from the ministry at the Crystal Cathedral. They filed for bankruptcy. The court would eventually allow them approximately 20 percent of what they were owed. The creditors would be paid in full plus interest. In July 2011, it was reported in the Orange County Register that Schuller had been ousted from the Crystal Cathedral board. In July 2011, Coleman attempted to reverse the decision that had been made in her absence, saying, "Dad will continue to provide leadership for this ministry through me for as long as possible", and, "I have and will continue to defer to his wisdom and honor him for his unprecedented accomplishments". On March 11, 2012, after months of attempting to change the attitude of the ministry's board, Coleman told the Crystal Cathedral congregation that she was leaving to start a new church because of "a hostile work environment". The International Business Times reported that this came following "a bitter fallout between the ministry and its founding family". According to the Religion News Service, the founders were left with little to no assets; their home was fully mortgaged. On January 24, 2013, the Crystal Cathedral's board of directors voted to make Bobby Schuller, Schuller's grandson (he is the son of Robert Anthony Schuller, Robert Harold's son), the new pastor for the Hour of Power television program as well as a non-voting member of the board. In late August 2013, Schuller was diagnosed with esophageal cancer that had spread to the lymph nodes. A follow-up examination in September 2013 presented Schuller with the possibility of undergoing chemotherapy and radiation therapy that could extend his life. Arvella Schuller died on February 11, 2014, aged 84. The Schullers had been married for 63 years. Schuller died early on the morning of April 2, 2015, at a nursing facility in Artesia, California, aged 88. His funeral was held at Christ Cathedral, the former campus of the Crystal Cathedral. He was interred next to his wife at the Christ Cathedral Memorial Gardens Cemetery in Garden Grove, California. Your Future is Your Friend (1964), Wm B. Eerdmans Publishing Co. Reprinted 1991 by Cathedral Press. A devotional on the 23rd Psalm. ^ Hour of Power website. ^ a b "Dr. Robert H. Schuller". Crystal Cathedral Ministries. Archived from the original on October 16, 2012. Retrieved November 3, 2012. ^ "Robert Schuller". Nndb.com. Retrieved February 5, 2014. ^ "Robert Schuller A Profil". Toetsalles.nl. September 14, 1980. Retrieved February 5, 2014. ^ "Rev. Robert Schuller, Founder of Crystal Cathedral Megachurch in Garden Grove, Dies at 88". KTLA. ^ "Robert Schuller rose from Iowa farm to world fame". Des Moines Register. April 2, 2015. ^ "'It was a life well-lived': Rev. Robert Schuller, leader of Crystal Cathedral and 'Hour of Power,' dies at 88". The Orange County Register. ^ "Robert Schuller Biography". achievement.org. Archived from the original on April 10, 2015. ^ Penner, James. Goliath: The Life of Robert Schuller (1992), p. 119. ^ "Drive in church – Garden Grove Community Church". ArchInform.net. May 21, 2009. Retrieved October 6, 2009. ^ Schuller, Robert H. "My Journey"
^ "Churches: Drive-In Devotion". Time. November 3, 1967. Retrieved October 6, 2009. ^ George, Timothy (September 23, 2013). "From Crystal to Christ: A Once and Future Cathedral". First Things. Retrieved April 3, 2015. ^ "Diocese to retain Crystal Cathedral exterior". Catholic Online. November 20, 2011. Archived from the original on December 24, 2011. Retrieved November 3, 2012. ^ "'Hour of Power' Preacher Removed by Father". FOXNews.com. October 26, 2008. Retrieved October 26, 2008. 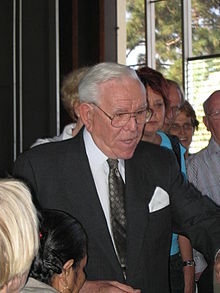 ^ Robert H. Schuller (October 26, 2008). "America's Television Church ― The Church of Tomorrow (news release)". Crystal Cathedral. Archived from the original on September 27, 2011. Retrieved October 27, 2008. ^ Anton, Mike; Quinones, Sam (October 27, 2008). "Hour of Power in Media". Los Angeles Times. Retrieved August 13, 2011. ^ "Crystal Cathedral founder stepping down". Orange County Register. July 11, 2010. Retrieved July 11, 2010. ^ Grad, Shelby (October 18, 2010). "Crystal Cathedral files for bankruptcy amid mounting debts". Los Angeles Times. Retrieved November 3, 2012. ^ Crystal Cathedral, Orange County Register Roxana Kopetman, November 28, 2012. Retrieved May 15, 2017. ^ Bharath, Deepa (August 17, 2011). "Schuller ousted from Crystal Cathedral board". The Orange County Register. Retrieved November 3, 2012. ^ "Dr. Robert H. Schuller Honored as Chairman of the Board Emeritus". Crystal Cathedral. July 2011. Archived from the original on November 22, 2011. Retrieved August 13, 2011. ^ "Crystal Cathedral: Robert Schuller commends daughter for leaving church". Los Angeles Times. March 2012. Retrieved March 12, 2012. ^ "Split Crystal Cathedral: Sheila Schuller Launches 'Hope Center of Christ' in Movie Theater". March 19, 2012. Retrieved July 26, 2016. ^ "Hour of Power". Crystal Cathedral. Archived from the original on April 30, 2013. ^ "Bobby Schuller is new 'Hour of Power' pastor". Orange County Register. January 2013. Retrieved January 25, 2013. ^ "Doctors say Robert Schuller has cancer, could live another two years — Los Angeles Times". Latimes.com. September 5, 2013. Retrieved February 5, 2014. ^ "Arvella Schuller, wife of Crystal Cathedral's founder, dies at 84". Fox News Channel. February 11, 2014. ^ "Televangelist and Crystal Cathedral founder Robert Schuller has died". The Washington Post. April 2, 2015. ^ "Obituary". Los Angeles Times. April 2, 2015. ^ "Amazon.com: Dr. Robert Schuller: Books, Biography, Blog, Audiobooks, Kindle". amazon.com. ^ World Archipelago. "Robert H. Schuller". HarperCollins US. ^ "Robert H. Schuller". newnetherlandinstitute.org. Bailey, Sarah Pulliam (April 11, 2015). "Retail Religion: Robert Schuller, an entrepreneur of televangelism and megachurches, died on April 2nd". Business. Schumpeter. The Economist. 415 (8933): 63. This page is based on the Wikipedia article Robert Schuller; it is used under the Creative Commons Attribution-ShareAlike 3.0 Unported License (CC-BY-SA). You may redistribute it, verbatim or modified, providing that you comply with the terms of the CC-BY-SA.